We will be having a full school Halloween Dance on Thursday, October 31st. 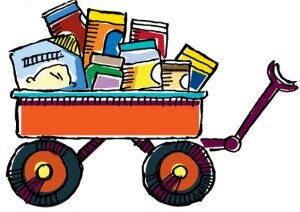 This is a not a fund-raising activity, though we are asking students to bring in non-perishable food items to support the Vaughan Food Bank. There are now several drums and bins in the foyer of the school, and donations can be dropped of at any time, during school hours. The most requested items from the food bank include (a) canned food items such as soups, fruit, vegetables, juices, pasta sauces etc., (b) cereals hot & cold, biscuits, crackers, cookies, cake mixes, pancake mixes etc., (c) toiletry items such as hand soap, dish soap, laundry detergent, razors, hair shampoos, paper hand towels, hair creams, cosmetics etc., (d) Kraft dinners and all types of pasta, (e) glass items such as pickles, sauces, jams, relishes, salad dressings etc., and (f) baby diapers, sizes 3 to 6. Together we can work to help Vaughan families in need. Please note that on October 31st, the focus of the day remains on instruction, any Halloween related activities are optional, and students will have a choice to participate in alternative activities. More details will be send home from you child’s teacher next week. Students will be allowed to dress up but they must follow Board Protocol. York Region District School Board’s Safe Schools Policy #668.0 in accordance with the Ontario Safe Schools Act, includes the following mandatory expulsion criteria: “A student shall be expelled from school if the student commits one or more of the following infractions while at school or engaged in a school-related activity (as set out in the Ontario Code of Conduct): (a) possessing a weapon or replica weapon, including a firearm.” Students celebrating this occasion in costume at our school must comply with this policy. Costume accessories including, but not limited to, toy guns, knives, axes, swords, etc. are not in compliance with York Region District School Board’s Safe Schools Policy #668.0.